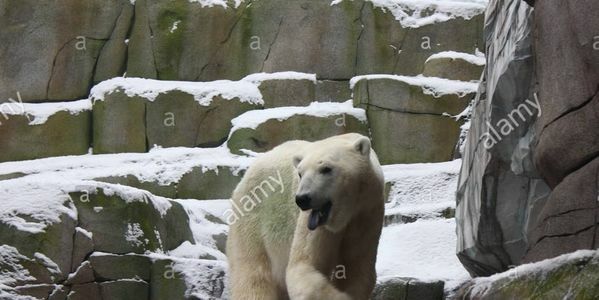 I recently visited Hamburg zoo/Tierpark Hagenbecks Animal Park hoping to see examples of healthy animals in considerate enclosures, instead I was heartbroken to see the polar bears. The weather was sunny with temperature over 30 degrees and the bears were in an enclosure too small for them with very little shade and without anything to reduce their temperature except for a small pool. Parts of the enclosure are painted white to simulate snow but this is just visual trickery. The walruses were also in an enclosure too small for their size and the penguins had nothing to cool them either.